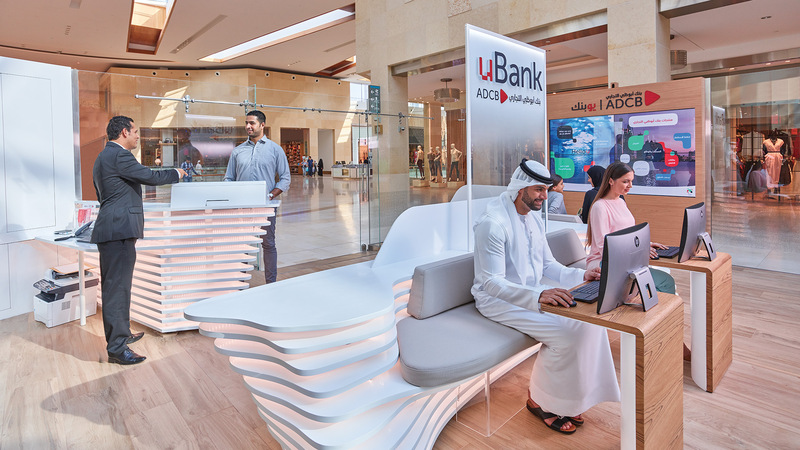 Abu Dhabi Commercial Bank (ADCB), a leading bank in the UAE, has opened its first uBank – a digital banking centre in Abu Dhabi’s Yas Mall. The digital banking centre aims to deliver a transition from conventional banking channels to a paperless digital experience using biometric authentication, a digital signature system and video assistance from a Virtual Relationship Officer. Customers will be able to use the centre to open a bank account and receive a debit card, credit card and cheque leaves on the spot, with existing ADCB customers able to obtain instant replacements for lost credit or debit cards. 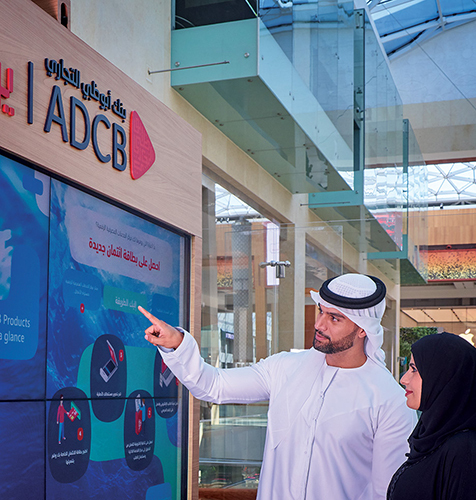 ADCB developed a new banking format, "Digital Financial Center" (DFC), an integrated platform that implements the Brand Loyalty called Touchpoints, which rewards customers every time they benefit from banking services. 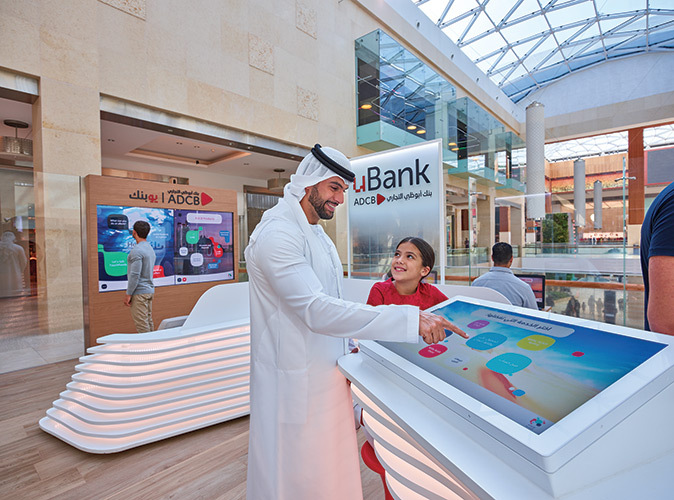 The revolutionary customer experience, conceived by the Italian firm, Crea International, in partnership with Yas Digital Media, the Fullsix Digital Enabler Company based in Abu Dhabi, provides a bank that promotes and welcomes customers, reducing spaces and creating a perfect integration between physical space and digital devices. Thanks to Orchestra, an Internet Of Things Platform with a powerful analytics dashboard, customers are able to access to a free Wi-Fi connection and receive customized real time information, dealing with smart digital signage touch points, releasing the employees from the traditional operational functions to focus on consulting and guiding users through the educational phase. 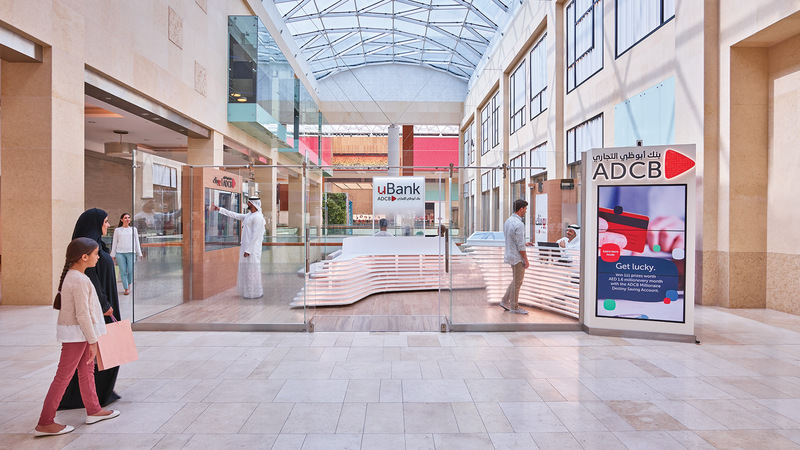 Two more uBank centres are expected to launch this year in exclusive and attractive places in the Arab world at Al Mall Wadha in Abu Dhabi, and City Walk in Dubai. The concept design conceived permeates within the three different locations each time adapting to the characteristics of the place, maintaining high the recognisability of uBank, ADCB brand.